Community members are starting a campaign to demand the complete closure of detention centers (so-called “shelters) for immigrant children run by Heartland Alliance and Archdiocese of Chicago (Maryville) and the complete and immediate release of all immigrant children under their captivity. 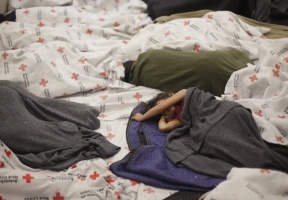 This comes in the aftermath of the recent publications of ProPublica regarding the conditions of detention of unaccompanied immigrant children in Chicago “shelters,” and the more recent release of addresses of child detention facilities made in social media. 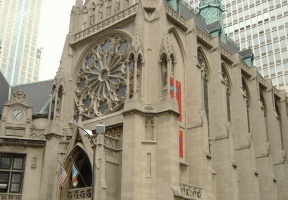 Families did not ask Heartland Alliance or the Archdiocese of Chicago for their children to be kept in confinement in their so-called “shelters” – this is not voluntary, it is a trap, a kidnapping-like scheme, stated a community member. “We are calling on the entire community to publicly denounce these child detention centers. We do not want centers of captivity in our community. We do not want these centers to exist. We want the complete closure of these so-called “shelters.” Community members demand Heartland Alliance and Archdiocese of Chicago (Maryville) to rescind their federal contracts that fund their so-called “shelters,” and to close all their immigrant children jails down.